Day Two of the Epic Poker League’s $20,000 “Mix-Max” event is in the books, with Noah Schwartz holding down a slim chip lead over two formidable opponents, Faraz “The Toilet” Jaka and David Williams. At the start of play on Thursday, 61 players still held the dream of being one of the twelve players who would walk off with some holiday cash for their efforts. Those same 61 players, however, were looking for the largest percentage of the $2.36 million prize pool by winning this EPL Main Event for its $801,680 payout. 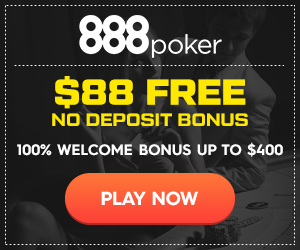 The start of the action on Thursday had some drama to the proceedings as players either looked to get themselves back in the game or head away from the Palms Casino Resort to relax before the tournament poker season starts up again in 2012. Scott Seiver, Brian Rast and Andy Frankenberger were among the early casualties, but the puzzling story was not in someone who busted but in someone who didn’t show up for the start of play. As the cards hit the air, 2011 World Series of Poker Player of the Year Ben Lamb’s 18K chip stack sat at his chair, but the November Niner was absent from the tournament restart. Over the course of at least an hour, Ben’s chips were blinded off as several players, including Huck Seed (who Tweeted to Lamb, “You’re getting anted off in the Epic Poker event, get a move on.”), attempted to run down the missing Lamb. Eventually, Lamb did make it to the tables but, with his short stack, was unable to make it through the Day Two play. One of the success stories from Thursday’s action was Vanessa Rousso. After Tweeting on Wednesday evening, “After a slew of beats followed by one moment of being brain dead, I ended day one with a disappointing but sufficient 37K,” Vanessa slowly started to build her stack into a contender. Ending the first level of Day Two with around 97,000 in chips, Rousso would continue to grow her stack and, after eliminating Mike Watson from the event late in the evening, found herself sitting with more than 300K in chips. Another elimination, this time of McLean Karr, would catapult “Lady Maverick” up to 365,000 (nearly a ten times growth over Day One) and put her among the leaders, although she did take a hit from Eric Baldwin late. Another big mover during Thursday’s play was Schwartz. After starting off with a 120,000 chip stack, Noah used the elimination of David Bach to get his name in the mix for this EPL championship. On a 7-10-2 (two heart) flop, Bach bet out and, after a fold from Andrew Lichtenberger, Schwartz raised the price to 16,800. Bach decided to make a stand at this time, pushing his remaining chips to the center, and Schwartz made the call. Bach’s pocket Aces were ahead at this time, but he had to fade the flush draw of Schwartz’ 8-7 of hearts as well as another seven or eight on the turn or river to stay in the tournament. A four on the turn provided no help for Noah, but the eight on the river gave him two pair to eliminate Bach from the tournament. After that hand, Noah sat at 275K in chips and, following his elimination of Hoyt Corkins late in Day Two play, would emerge as the chip leader. Erik Seidel’s run at a third consecutive EPL Main Event final table ended on Day Two with his elimination at the hands of Chris Klodnicki when “SloppyKlod” was able to flop trip tens and get Seidel to commit his remaining chips on the river. Others who will not be around for Day Three play include Eugene Katchalov, Vanessa Selbst, Victor Ramdin, Allen Kessler and Shawn Buchanan. It could be a short Day Three for the players today. According to the format developed by Matt Savage, play will end when the tournament reaches twelve players. The tables will play Six Max today (with one seven handed table) and, once the players reach the final twelve, the day will end with a redraw to four handed tables for Day Four’s action on Saturday. This will lead up to Sunday’s determination of a champion, which will be a best two of three Heads Up contest.